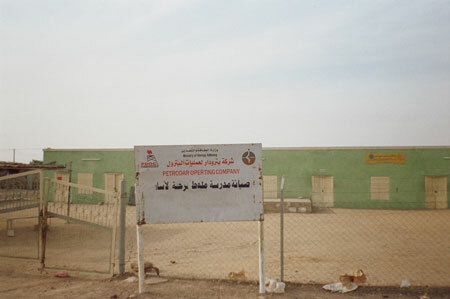 A Petrodar Operating Company building at Melut. The company has been supporting an Islamic school at Melut. Morton, Chris. "Oil company building" Southern Sudan Project (in development). 03 Jan. 2006. Pitt Rivers Museum. <http://southernsudan.prm.ox.ac.uk/details/2007.137.67/>.